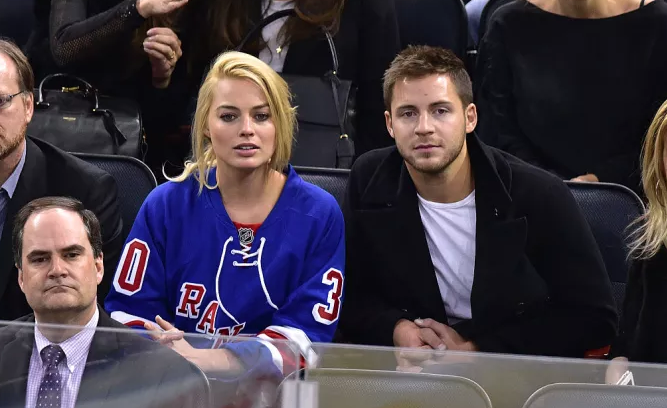 Bad news for anyone who has been thirsting on or listed Margot Robbie as one of their Woman Crush Wednesdays, because it looks like she is officially taken. A report just came out revealing that the star actress got married to boyfriend Tom Ackerly in Australia recently. According to a report in the Australian tabloid newspaper The Daily Telegraph, it is believed that Robbie married her boyfriend of the last three years, Tom Ackerley, in a quiet ceremony at Byron Bay, a resort town on Australia's eastern coast. The biggest clue so far that the wedding actually happened came in the form of Instagram posts from Robbie's brother which appear to show the wedding party, the Telegraph reported. I, along with probably many others, had no idea she even had a boyfriend, let alone one for the past three years. Ackerley is an English guy who works in the film industry, which is how he met Robbie when they were working on the set of the film Suite Francaise in France. Robbie acted in the movie and Ackerley was the third assistant director, according to his IMDB page. His other credits include assistant director jobs on a number of movies, including The Brothers Grimsby. He's also listed as a producer on two upcoming movies that both star Robbie. One of them is I, Tonya, in which Robbie will play the notorious '90s figure skater Tonya Harding (with Captain America's Sebastian Stan playing Harding's husband, Jeff Gillooly). The other one is the noir thriller Terminal, which also stars Max Irons and Simon Pegg. Both films are being produced through a production company that Robbie and Ackerley started together, says The New York Post. Ackerly is going to have a lot of people jealous now.